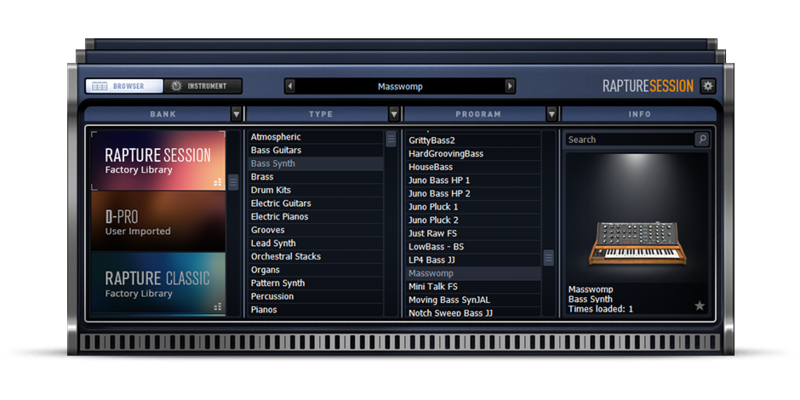 We've compiled some of the best and most sought-after sounds from Rapture Pro in a simple, streamlined interface. A sleek, simple interface powered by the premium sounds of Rapture Pro, expandable with our ever-growing list of sound packs. Rapture Session includes 11 instrument types picked from Rapture Pro, chock-full of presets that can be easily mapped to your MIDI controller for amazing performance possibilities. Learn more about Rapture Pro - featuring 20 instrument types, nearly 10GB of sounds and a fully-featured demo.